Christina Landry, PA-C graduated from LSU Health Sciences Center in Shreveport, LA with a Bachelor of Science in Physician Assistant Studies in 2004. Prior to attending the PA program at LSU she attended LSU in Baton Rouge from 1998-2002 concentrating in Kinesiology studies. Christina is certified by the National Commission of Certification of Physician Assistants. She is licensed by the Louisiana State Board of Medical Examiners and is a member of the American Academy of Physician Assistants and the Louisiana Academy of Physician Assistants. Christina has 11 years of experience in Orthopaedics with the last 7 years specializing in spinal conditions and spine surgery. 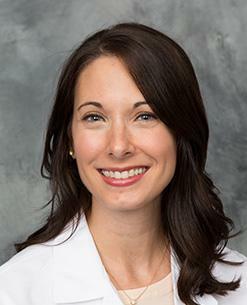 She has worked as a Physician Assistant with the Bone and Joint Clinic in clinical and surgical roles under the supervision of Dr. Kevin McCarthy since 2008.